It was my good friends birthday last week and I decided to make her a journal. 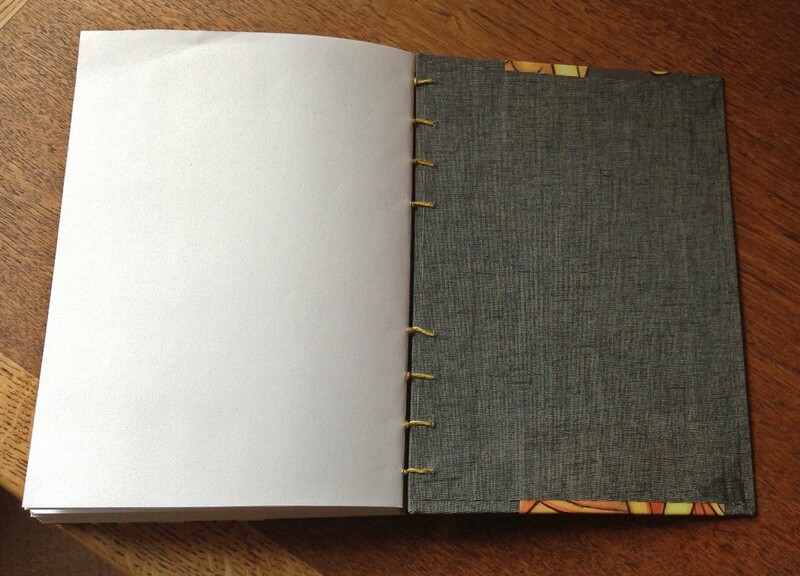 I had just done a short course on book binding and was eager to put the new skills to the test. Last year I had given her one of my drawings for a significant birthday and decided to use that image on the cover of her book. While I was at it, I decided to print off some of my other pictures as well to use. It is great fun to see your work in another format. 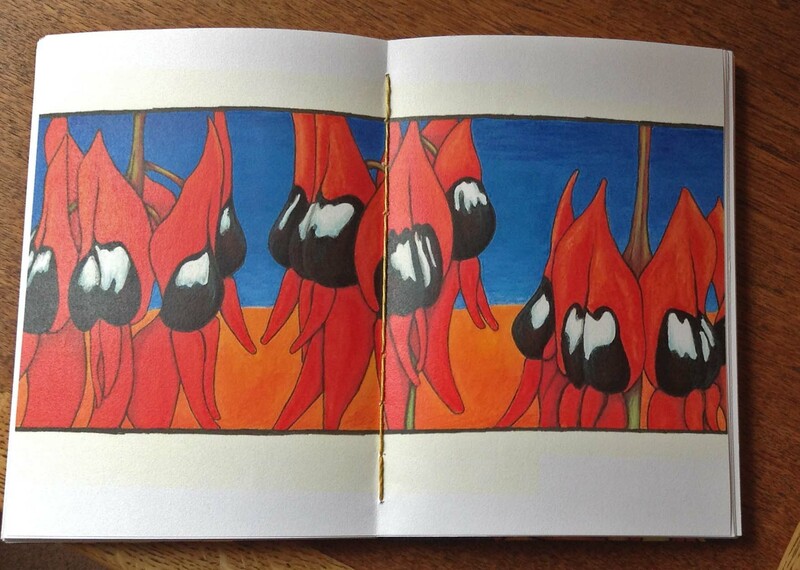 I decided to use some of the other drawing of Australian Natives through out the book to give it a bit of colour. I made the book using ‘coptic binding’, which means that it has front and back covers and these and the paper are stitched together. Found a really great YouTube site ‘Sealemon‘ that has clear and precise instructions on a whole range of bookbinding techniques. Really enjoyed making this book, off to make one for me now. 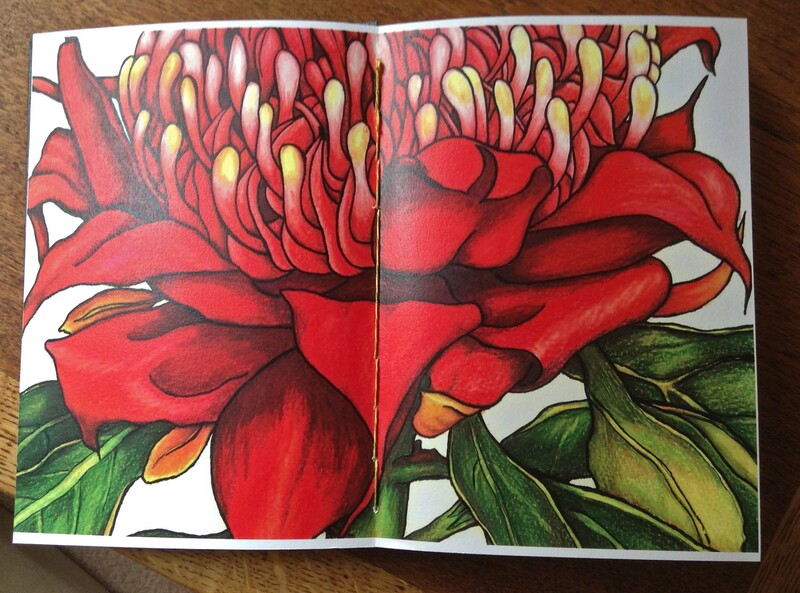 This entry was posted in 2014 Artwork, Paperart and tagged art, australian native flower, book binding, books, colored pencil, coloured pencils, drawing, handmade journals, journal, native flowers. Bookmark the permalink. Thanks Karen, had a whole lot of fun making it. Dear Karen, my birthday is 31st July. I’m making sure I tell you!!! 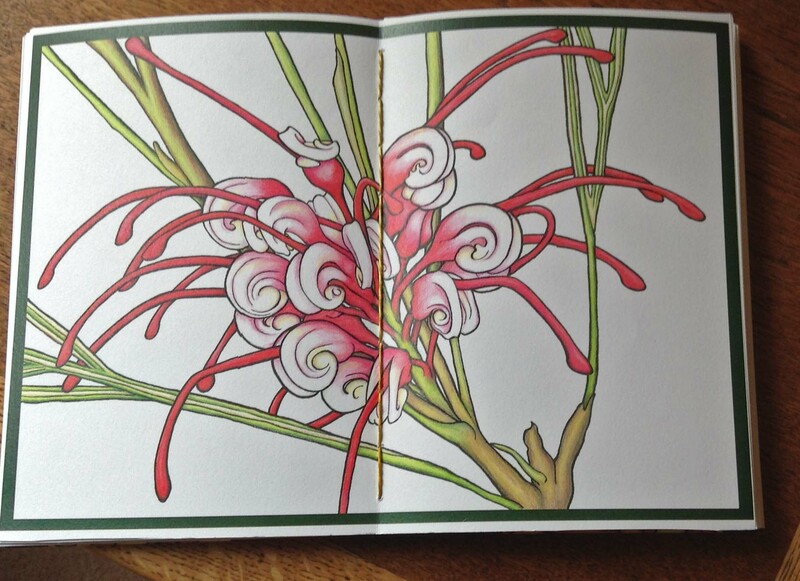 Just kidding – but I’m not kidding in saying that your book is absolutely gloriously beautiful. The way you simplify the flora makes me think of Margaret Preston. What a lucky lucky friend you have. 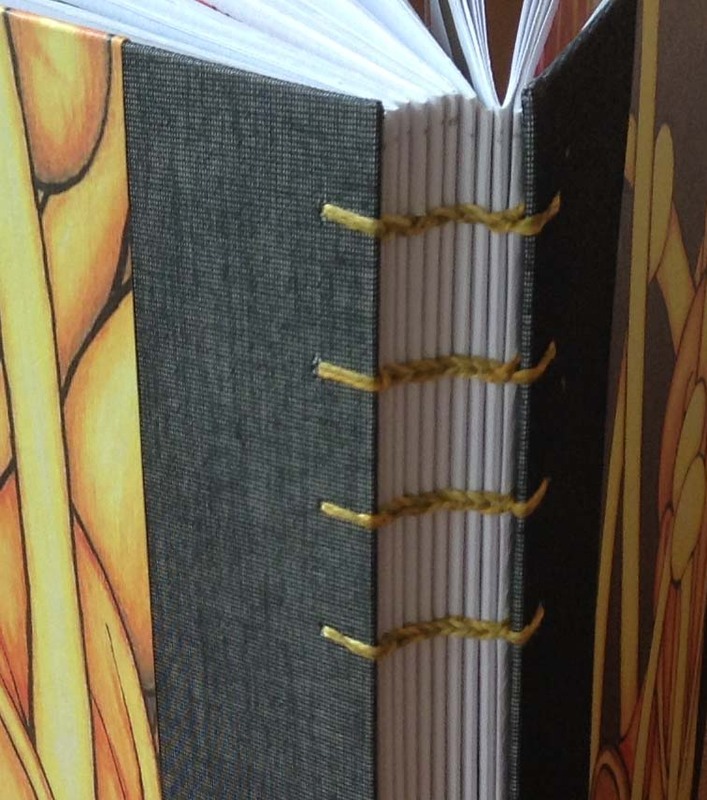 Beautiful stitching for an incredible book. Well done! Thank you so much, I think I may become hooked on making these books, a lot of fun to make and so many variations to try out. So impressive Karen! 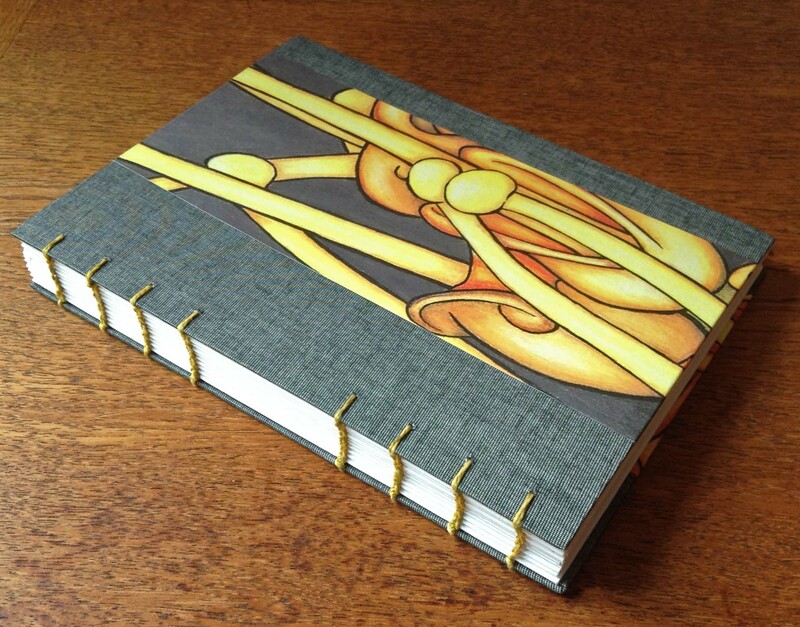 Beautifully done, especially if the binding is your first attempt, it looks very professional. Your prints look as though they are made for that format, they look stunning tightly contained like this. That’s lovely. Nice work such a wonderful gift. Thanks Sue, yes I think the gift was well received. I do like making gifts when I can.